This was a new paperback book with the individual sections glued to a card spine. It was bought as a reference book and the owner asked if something longer lasting was possible. Because the sections were sewn, (ie each folio had a fold down the middle), I was able to rebind the book creating a hard cover. I cut the illustrations from the original paper cover and incorporated them into the binding. A new case was made using navy blue buckram. I also treated the page edges with graphite giving a shiny metallic appearance. 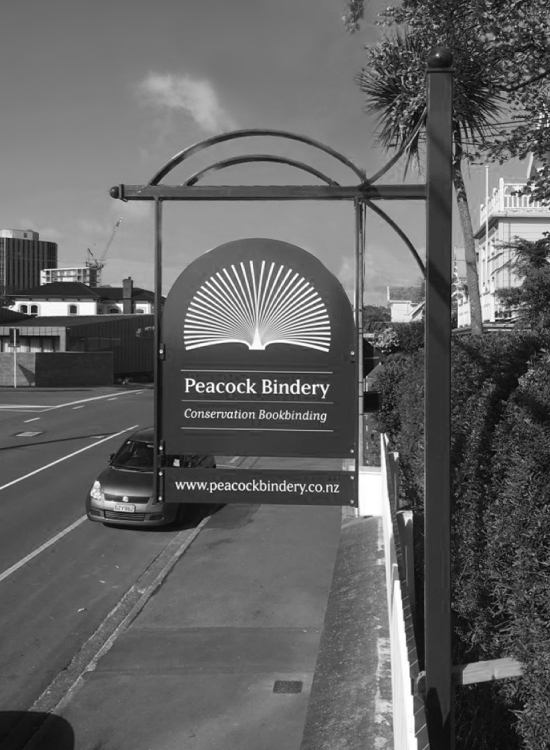 The book now opens well and will be hard-wearing. 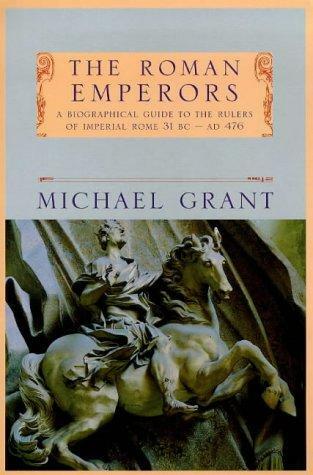 The Roman Emperors: front cover of paperback book. 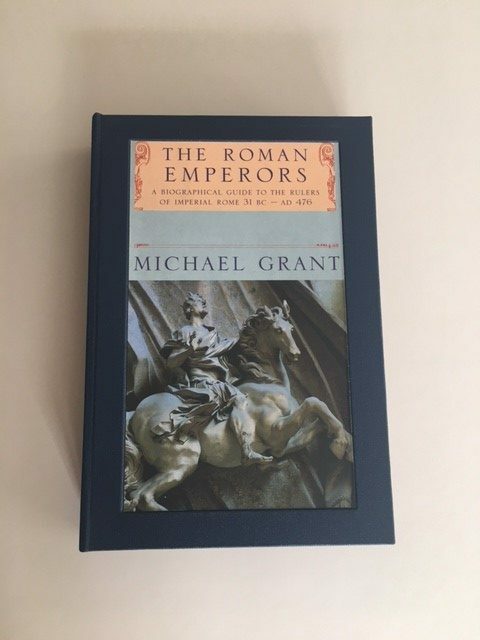 The Roman Emperors: front board after rebinding using the original front paperback cover slightly recessed into front board. 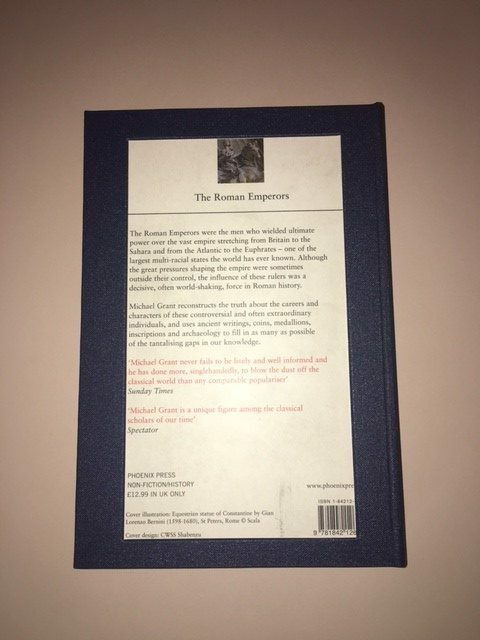 The Roman Emperors: back cover after rebinding using most of the original paperback back cover – slightly recessed into back board. 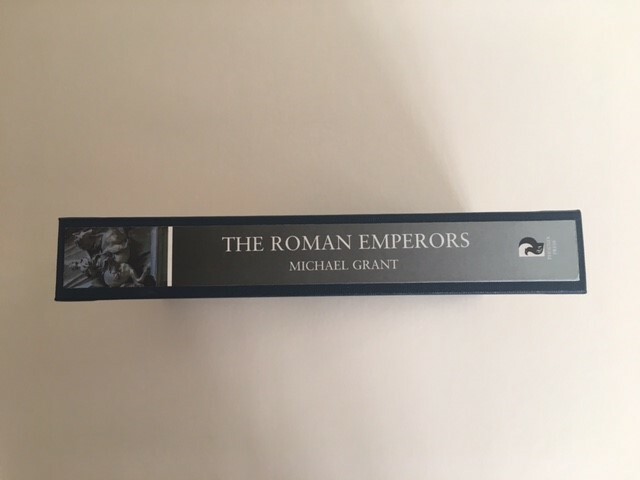 The Roman Emperors: after rebinding showing polished graphite edge. 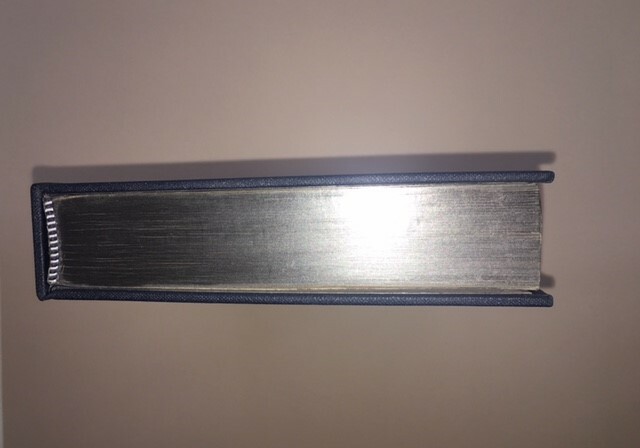 The Roman Emperors: spine after rebinding using the original spine card which is glued on.